Hello, Jonathan! Thank you for a review of this book. 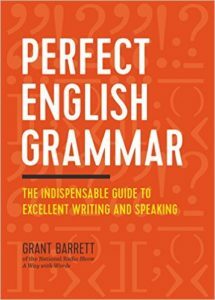 In the moment I am looking for literature that will help with my written english. And after reading your review I think it is a great book for me. Also, I’ve got a question. Do you make reviews of grammar checker tools? Because I want to try out Grammarly or this one http://www.correctmysentence.com/fix-my-sentence-online/ and I am not sure about it. I will be waiting for your answer.